I love living in Tokyo. It’s an amazing city and has even more amazing people in it! In the last 14 years, I’ve seen an increasing number of buildings, both large and small, make use of the limited space in this city of 40 million people, a city renowned for being the largest on earth. Occasionally, one might come upon an unusual sight. Between the many tall office buildings, there will be a tiny house with a small plot of land on it, a neat and perfectly lined vegetable garden. These houses are owned by people who love their garden and land too much to sell it to the developers. They love the soil and don’t want to give it up for any thing or any one. In John 15:1 Jesus says, “I am the true vine, and my Father is the gardener”. The word gardener used in this verse reveals a picture of God as the gardener taking care of His garden. He isn’t just a hired hand, he owns it and loves it! Just like the urban gardeners here in Tokyo, God loves the soil so much he won’t give it up. I have a revelation that God loves this soil and country so much that he has called me, along with others, to be part of the growth he is cultivating here. It is so important that we understand God’s love for our cities and countries. This is a large part of our calling. We can plant and water, but the growth in people and the Church comes from God. God is the owner and lover of the soil! In the 1500’s there was a move of God in Japan and millions of Japanese people became Christians. A great wave of persecution broke out, and many thousands of Japanese gave their lives rather than deny Jesus. 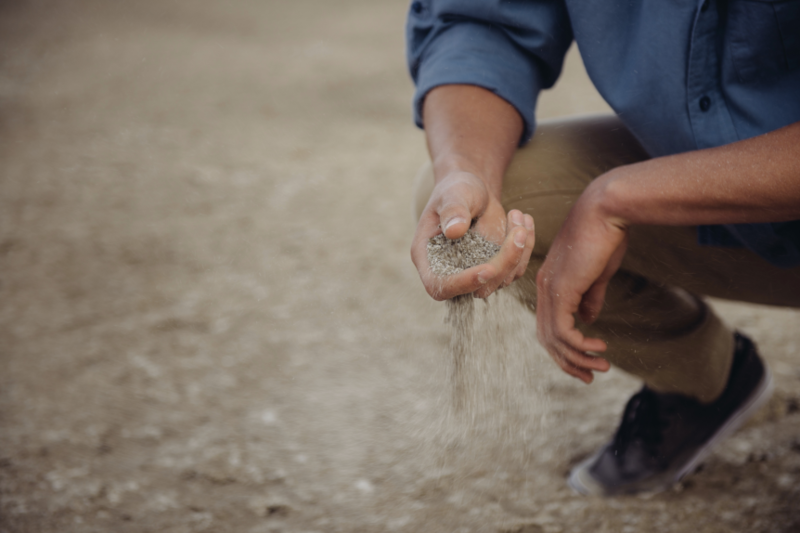 The soil in Japan has seen many lives and much prayer sowed into it. It is rich and ripe for the harvest. Wherever you are, know that God loves the soil and has been preparing it for a harvest. We all have a part to play in building the Church with Jesus. If we stay connected to the vine (Jesus), God will bring the growth. I pray that you would get a revelation of how much God loves the soil that you are planted in. What a great reminder that the harvest is ready. This is awesome. Thanks! I am from a faith family of Nexus Church in Brisbane. Our Senior Pastor Murray Averill whom you know well introduced us about your ministry in Japan and India. We would love connect with you, and trust God for some opportunities to minister to young adults in India. Last year Ps Murray and myself and my daughter (Roshni) travelled Bangalore for this reason. I would love to visit your ministry in Japan and learn about the move of the Holy Spirit during your time in India. Please let me know, when is the best time to visit your ministry.